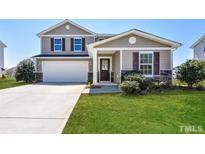 Below you can view all the homes for sale in the Cobblestone subdivision located in Clayton North Carolina. Listings in Cobblestone are updated daily from data we receive from the Raleigh multiple listing service. To learn more about any of these homes or to receive custom notifications when a new property is listed for sale in Cobblestone, give us a call at 919-759-5792. Upgraded features include fresh interior paint and new carpet in select rooms. MLS#2249026. 4823. Surround sound family Room, tile fl baths, beautiful landscaped, archways & more! 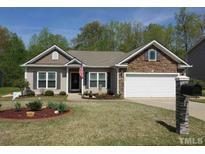 MLS#2248197. 4061. Upgraded features include a new roof and new thermostats. MLS#2247315. 4823. Master Retreat w/Soaking Tub, Separate Shower, Dual Vanity+Walk in Closet. Patio. Flat .24ac FENCED Yard. MLS#2245651. 1647. Tennis, Pool, near resturants and shopping. Won't last long. MLS#2243121. 3199. This one won't last long! MLS#2242665. 4852. Sheer Elegance with a Whopping 5 Bedrooms and 3 FULL Baths~LOADS OF UPDATES~Some FRESH paint, Updated TILE floors, ALL New WINDOWS in 2018~NEW Blinds, TILE Backsplash in Kitchen, NEW Laminate Hardwood look in 1st & 2nd floor Stairwell~GRAND Dining Room~EAT AT BAR, PANTRY in Kitchen~Cozy fireplace~4 Bedrooms on 2nd level~FINISHED BONUS~3rd level hosts yet another bedroom AND OFFICE or a 2nd BONUS~FENCED Backyard, PATIO, LUSH landscaping~Handy Storage~Pool, Tennis and Playground Community MLS#2238172. 623.